I wish I could find the original source but everywhere I searched didn't bring it up! I had this picture logged away for a while and I had been wanting to do it. 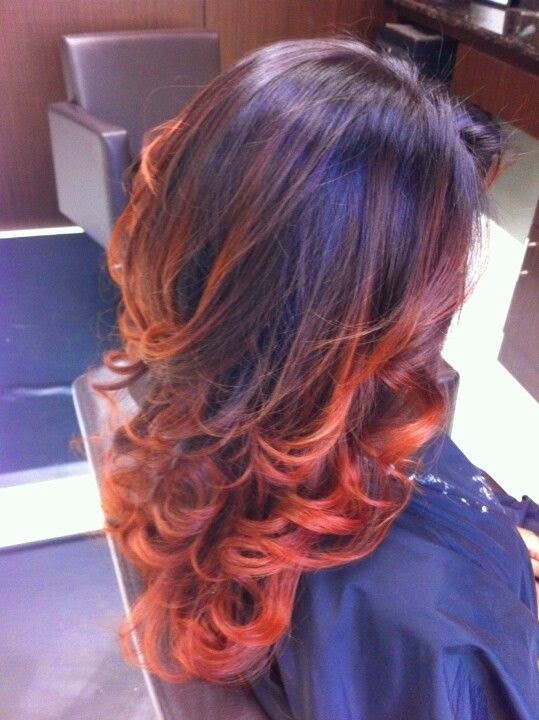 I love the ombre/melt look but I was too afraid to do it. I kept telling myself "When I lose 50 pounds then I can do it". I had a bunch of those When/Then statements. I get that it's good to reward yourself when losing weight, but here's my thing. I kept on holding back those things because I wasn't ok with where I was it. And then I realized, I need to love or at least accept myself now and where I am at NOW, or I will NEVER be happy with myself. Now it's my weight, but what happens when my weight is gone and I don't have that to blame. Then it'll be my lose skin. Then it'll be my scars to get the skin removed. I feel that often times when we get stuck in the mentality of the "THEN's" we don't realize that we are missing out on the "NOW's". 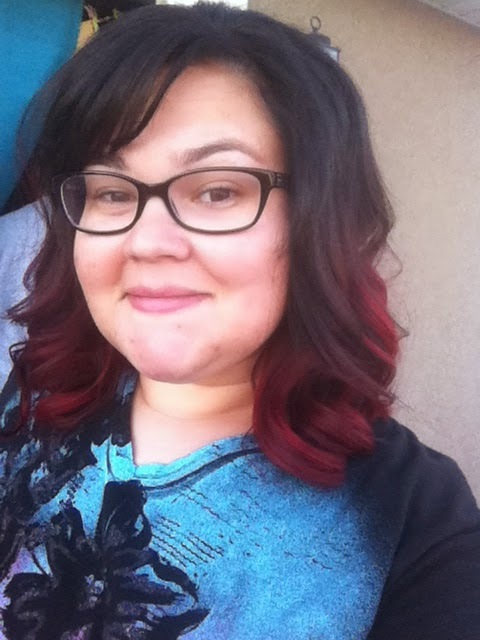 So I decided that NOW is the time that I'm going to get my ombre, not then. And I'm so glad that I did. 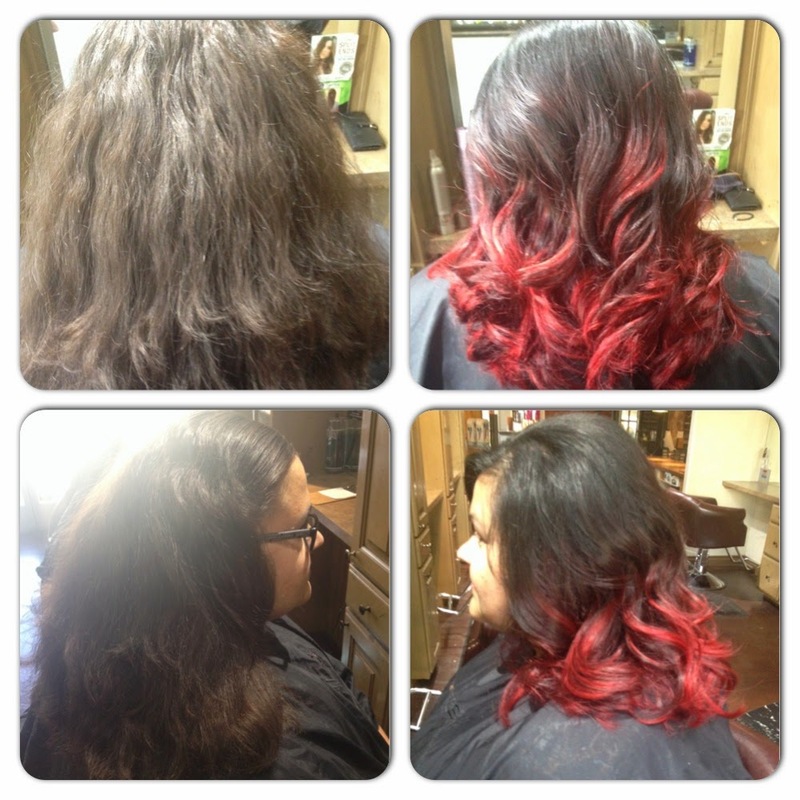 Here's the before/after taken by my AMAZING Stylist Courtney Smith at Seasons Salon & Day Spa in Orem, UT. She is seriously talented and as cute as can be! Go see her...RUN! And tell her I sent you, we will both get $15 off ;). This is my first selfie in a looong time. And you know what? I feel amazing. I feel happy and confident and wonderful and I love it. I haven't felt this good about myself in a long time and I have found that feeling good about myself makes me want to take better care of myself. It's funny how that works out. I've realized that they go hand in hand together. I am so glad that I took the step and embraced the now. I feel like if more of us embraced the NOW and accepted ourselves for where we are currently at, we would be so much happier. It is so much easier to take care of something you love than something you despise. Think about it? If you despise something do you want to take care of it? If you do start to take care of it, is it easy to stick with it? Heck no Joe! So for now, while I honestly don't love my body now. I do accept it and appreciate all that it has done for me. And I'm gonna start focusing on the NOW's in life. You look so pretty!!!! You always have. I've been thinking about this more and more. You don't have to hate your body to lose weight and loving your body doesn't mean you'll never lose it. In fact loving your body right now is the best way to start taking care of yourself and that's when the magic happens. I've been trying to internalize this lately. It's not easy, but it's working :) Love you!! A years worth of food storage in 4 months!